Just 14 days ago, we announced that we had given the Moto X a home here on our forums. While the device may not exactly pack the highest specced internals, it offers several software perks enabled by its low power ancillary cores. 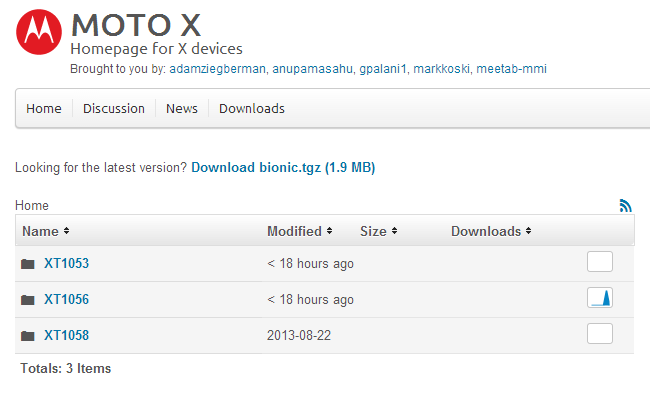 Now, we are a happy to report that GPL-compliant kernel source has finally been released for the device. Source is currently available for the T-Mobile (XT1053), AT&T (XT1058), and Sprint (XT1056) models. Curiously, the Sprint model was included, despite not yet being available for purchase. This is in contrast to the Verizon model, for which source code is not available despite its imminent launch. This is the first important step towards aftermarket development on the Moto X, and we can’t way to see the custom kernels that will come from this. Head over to the Moto X Sourceforge page to get the sauce, and head over to the Moto X forums to share in the development work that will inevitably follow.